Is The Opioid Epidemic A False Narrative? For many decades now, there has been a great controversy over the opioid epidemic narrative. The question – “is the opioid epidemic a false narrative?” is one of the frequently asked questions. 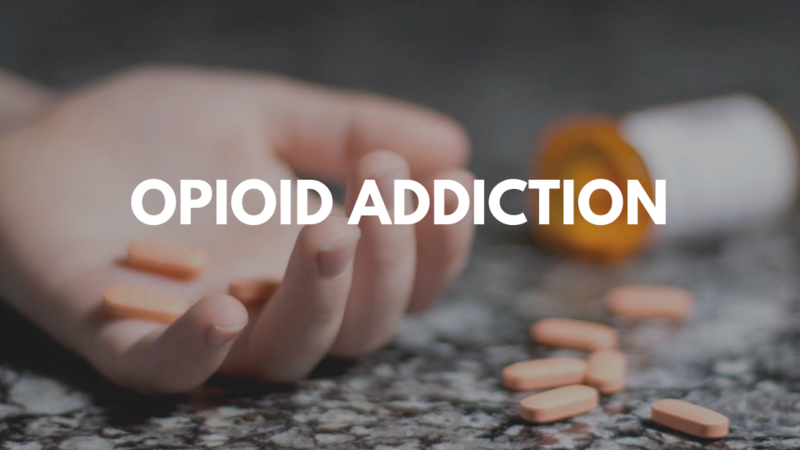 To help you understand this bold topic, this article provides you with in depth information, truths, facts and myths about opioids. According to research findings by different organizations in the US and other parts of the world, some research firms prove that the widespread news about opioid epidemic is false and perverse and the convenient conviction about pills is wrong. But, is this true? If you are hearing about opioid narrative for the first time, or you have heard about it for quite some time now and you don’t understand fully what it is all about, I’m going to give you some hints to make you understand better. Opioids can either be synthetic or semisynthetic and they are available in forms of pills. In some places like the US, semisynthetic opioids like heroin are illegal while others are prescription opioids. Opioids are pills like morphine, codeine, oxycodone, fentanyl, heroin and many others have been medically used to treat pain over the years. However, various researches show that these opioids pose patients with possibly dangerous effects. By using them to relief pain, the patient can easily become addicted to opioids, resulting to overdose and they interfere with the opioid receptor in the brain. Now, the tragedy lies when these prescription opioids like fentanyl is used in ways that it is not prescribed or without a valid prescription. In most cases, we find that opioids addicts tend to switch from one opioid to another due to factors like price and availability. It has been found that all opioids produce similar euphoric effects and risk of overdose. Opioid epidemic or opioid crisis is the term used to refer to the rapid increase on how prescription and non-prescription opioids are used. 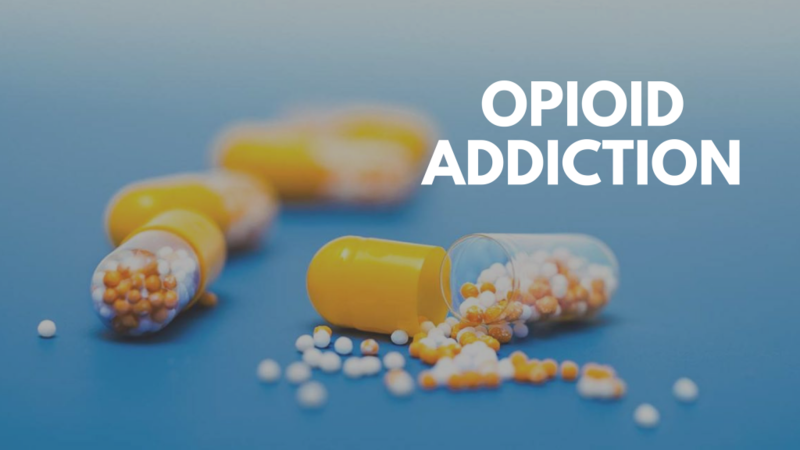 According to the National Institute on Drug Abuse, opioids are defined as class of drugs like illegal heroin, synthetic opioids and pain relievers that are legally prescribed. Some of the most abused prescribed opioids are oxycodone, hydrocodone, morphine and codeine. Over the years, prescription opioids have been used to treat chronic pain for outpatients, young and old alike. This means that they were made available in many health facilities. In 2015, report says that 97.5 prescription opioids were dispensed in America. This marked the beginning of the opioid epidemic tragedy. Why? Opioids were not readily available and many people abused them. Individuals use them as prescribed pills or recreational drugs. Medics have been using opioids in high doses to treat chronic pain on patients and this over prescription marks the beginning of the opioid epidemic. In 2016, America reported 63,600 overdose deaths. In the same year, it was announced that over 2.1 millions of Americans aged 12 and above were opioids addicts or had developed other opioid use disorders. About 0.6 of pain reliever use disorder had developed heroin use disorder. By 2016, the overdose deaths increased by 21% and this report became so distressing. Did You Know That Too Much Opioids Can Lead To Immediate Kidney Shutdown? The reason why I agree with the fact that opioid epidemic tragedy is real is the numerous negative effects of consuming too much paracetamol. This can put your kidneys into immediate shutdown and it can result into chronic health complications or even death. According to Christopher Hauser, who is a former psychologist, there are some individuals with a tendency of keeping a box of ibuprofen or codeine to use in case a headache strikes or there’s some pain in the joints or so. This slowly leads into an addiction or overdose to get the same effects. The attempts by the health sector to keep the prescription away from the larger population for them to use only when directed by the doctors has forced many opiate addicts turn to illegal opiates. The alarming frequency of addiction at the workplace has largely affected the growth and productivity of many firms in America. The so called highly effective painkillers have been found to be equally addictive. Some people say that the pills have very high euphoria. Due to the strong craving and urge to have the pills, we’ve heard cases of individuals who risk their careers, family, relationships and reputation in attempt to have more to achieve the same effects. Using opioids can be a real tragedy that results to great financial, social and emotional wreckage and no amount of money can be used to rectify its effects. The sad bit is about how these pills are unnecessarily produced in the US and how they are illegally shipped to pharmacies and rogue pain clinics where they are prescribed to thousands of users without no better medical reasons. Report reveals that compared to the other developed countries, U.S. and Canada are receiving and dispensing these drugs at a very alarming rate. The attempt to shut this illegal pipeline has not yielded much as expected. What’s The Government Role In The Fight Against Opioids? For sure, whether the issue about opioid epidemic tragedy remains to be the bone of contention or not, the fact remains that opioid usage is deadly and can’t be ignored either. The government in the US and other parts of the world has intervened to strongly barn the use of illegal opioids and to ensure that only authorized health facilities are licensed to dispense prescription opioids. However, what we see out there is shocking and heart breaking. Lawyers are busy paying themselves huge amounts of money to have legislation written about the shutdown of opioids. On the other end, the power of the pharmaceutical companies has the biggest say. At the end of the day, only the small time criminals are send to jail and the white color criminals are left untouched, making huge profits on trafficking these opioids behind the door. In order to shut down completely this opioid epidemic, the government has a lot to do. Since most of the parties involved in opioid business are the rich tycoons who have a big say in the government and has a great potential to influence the government’s stand on the fight against opioids, something ought to be done. The case should be handled as a national disaster and the government should not relent on its stand. Law enforcers should be on the lookout day and night and the white color criminals should not be spared either. Otherwise, if things continue working the way they are, cases of opioid overdose deaths are going to be recorded at alarming rates. If the current rules are not effective, then the government should revisit the issue about dispensation of strong opioids and come up with new rules that thoroughly address this issue to safeguard the livelihoods of the citizens. The Opioid Crisis – Who Is To Blame? The fiction about opioid crisis leaves a lot to be deserved. There is a fiction about illegal drugs and how the international drug trade is thriving nowadays. When you ask most opioid addicts and their support groups, they will tell you that they blame the medical crisis that pushed them and hooked them to these opioid painkillers. When we look at it from a bigger dimension, we can actually put the blame on the political attitude. I believe that this issue has been greatly politicized and the health sector is left without much say on this epidemic. If success is going to be achieved, the government must not allow politics to interfere with its fight about illegal opioids and prescription opioids. There’s something else that can be done. Let’s have a look at what countries like the Netherlands are doing. In Netherlands, citizens are not prevented from using recreational drugs. What the government does is to strictly monitor how these drugs are distributed and strict laws are enforced similar to laws concerning the use of alcohol. 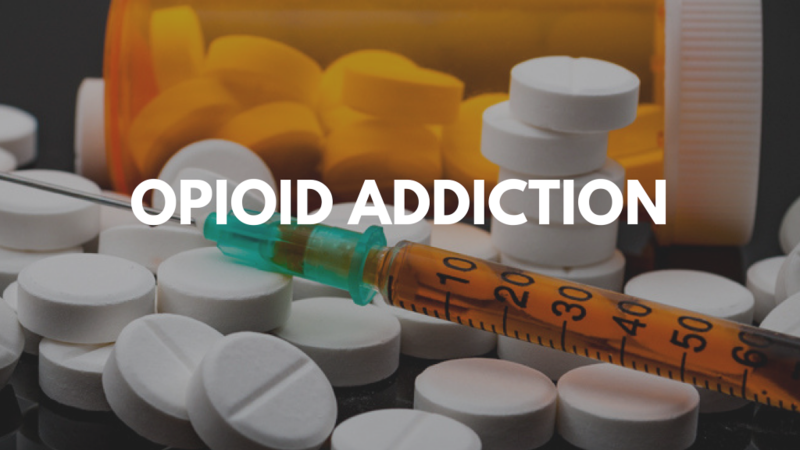 Report released by Centers for Disease Control and Prevention (CDC) says that in 2016 approximately 64,000 Americans died due to drug overdose. In October 2016, Donald Trump, the U.S. president at that time declared opioid crisis as a national health emergency. The secret behind the success of the battle against opioid epidemic is to create awareness to the public and let every individual understand the severe consequences of opioid use and abuse. Opioid crisis is real and it’s a killer phenomenon. The government should not relent on its campaigns against opioids epidemic to create awareness to the general public. According to research, opioid epidemic did not strike America in just a day. Actually, it is not a mysterious attack. There are some key factors that have slowly contributed to the widespread growth of this epidemic. It has been a culmination of years without proper or strict regulations on opioid distribution. Many years has passed since when the opioid use regulations were laid but little has been done to enhance strict adherence to these laws. So, over years now, opioids have been moving illegally and those who are caught in the business bribe their way out and they do not get themselves behind the bars. The industry of opioid manufacture and distribution has been surrounded by big pharma bosses who are not moved by the government agencies that control the opioid dispensation. They bribe their way out and they get the freedom to do business their own style. Actually, in as much as the government can do anything to control the dispensation of opioids, it is the doctors who have the final say. Doctors know which health condition needs opioids. Corrupted doctors have been involved in unreasonable distribution of these drugs and they sell the drugs to individuals and addicts behind the door. Knowing that opioids are too strong and addictive, some doctors prescribe opioid dose to patients not minding the health condition of the user as long as he/she pockets large sums of money at the end of the day. Innocently, we’ve heard cases of patients who got into opioid addiction without knowing it. For instance in the case of a patient suffering from chronic pain and the doctor advises the use of prescribed opioids. Over a given time, the patient gets addicted to opioids and continues using them simply because the doctor prescribed the dose. Cases are reported of patients who received the prescription dose from the doctor. After finishing the dose, let’s say six weeks, the pain is over and the patients are excited that the dose worked well for them. A few hours after the last dose, withdrawal symptoms arise and it becomes difficult for the patient to manage the situation. Going back to the doctor, he can’t prescribe the dose again because the former pain is over. After doing research, patients find out that the only way to manage the situation is to get alternative opioids because they are already opioid addicts. With time, the patients die due to opioid overdose and no one cares about them. Facing the whole issue of opioid epidemic at the point of understanding is important for everyone. Why? At one point in life, anyone can become a victim of opioid addiction. Don’t trust the doctor too much. Get to know the drugs prescribed on your condition. Know the effects and side effects. If you are not sure about any given dose, do not hesitate to enquire more about it from different personnel. Today in America, overdose deaths have skyrocketed and the number of casualties is doubling almost every year. According to the White House Council of Economic Advisers, it is estimated that opioid epidemic cost the US half a trillion in 2015 alone. What do you expect? The amount keeps increasing every year. This cost is calculated in terms of criminal justice expenses, deaths and losses in productivity. Foster care systems are experiencing an overflow of children who do not have parents to care for them. Ambulance services are stretching beyond their budget to attend emergency cases and take bodies to the coroners who are also overwhelmed by bodies. Without any doubt, we can boldly say that opioid epidemic tragedy is a real carnage in America. Without relenting on the worrying news about the skyrocketed deaths from opioid overdose, something must be done urgently before this storm sweeps the entire nation away. Opioid epidemic narrative or drug overdose is the 21st century public health epidemic in America. Both the healthcare system and the pharmaceutical industry has suffered a major blow because of the foul national outcry that puts the blame on their recklessness in their profession. The bare truth according to research is that prescribed opioid is the primary driver of the skyrocketed overdose drug deaths in America. Reason being these drugs are highly addictive and they are overprescribed. In the last couple of years, the attempt to control the distribution of prescribed opioids has led to patients turning to illegal drugs like heroin which is cheaper and available in the streets. What’s so important at this point is to understand what can be done to reshape the current opioid epidemic narrative. A lot of things can be done but one of the most effective method is to reshape the treatment of pain. With less reliance on chronic opioid, medics can prescribe other equally effective doses that are not addictive. This can function effectively in curbing the high risks of drug overdose, widespread and long-term prescription of opioids. In order to completely turn back this overdose epidemic, having a bigger picture of the addiction without missing on any key element is very important. By clearly narrating the role of opioids in overdose deaths is very critical at this point. The process on how a non –addicted opioid pain patient can swiftly transition into opioid addiction should be thoroughly discussed. Most importantly, understanding the significant role played by adolescent initiation to drugs leads to opioid overdose epidemic by the time they get old is key to learning how to reshape drug overdose epidemic narrative. In many cases, it has been found that most opioid addicts use opioids along with other drugs and/or alcohol. It is believed that most opioid addicts got their first encounter with opioids when the drug was prescribed by the physician. On the contrary to this, most of these patients must have sourced opioids or other drugs from other sources before. In order to win the battle against this widespread overdose drug tragedy, we should not ignore the effectiveness of the ongoing sophisticated global illegal drugs market. This has really brought about the widespread distribution of heroin and other synthetic opioids as well as countless addictive drugs. Having all these facts with us, it is now possible to shape the current opiate epidemic narrative and save our society from this deadly trap. Though immediate results may not be guaranteed, it is evident that with time, the alarming rates of drug overdose deaths will gradually decrease. Here, let’s talk about first-line pain treatment opioids. We find that when a patient without prior history of addiction visits the health facility and the doctor prescribes opioids for his condition, if the patient uses the drugs as directed, chances of an addiction are very rare. Prescribed opioids are taken orally. However, if the patient fails to use opioids as directed by the doctor, chances for addiction and overdose deaths are very high. Cases of patients injecting, chewing, shooting, snorting or smoking opioids have been reported. Other incidences like patient selling opiates to other parties are also real and all these lead to the widespread use and abuse of opioids. Otherwise, if patients are attended by legalized medical practitioners and use opioids as directed, we would have close to zero cases of addiction or overdose deaths reported. This is the factual truth that cannot be disputed. Using non-oral methods of administration or using opioids in concurrence with other drugs can yield very dreadful consequences. When an individual develops opioid use disorder, there are signs we can look at and know that the individual is an addict and needs help. A victim of opioid addiction tends to continue using opioids despite the serious problems it causes. Most of the victims use drugs while hiding from friends or family. This is because they patient wants to continue using opioids addictively and they don’t want anyone to notice or stop them. Prolonged opioids use can either lead to opioid physical dependence or the victim can become an opiate addict. The pattern of opioids use is different between these two groups. If you are a loved one is struggling with the issue of opioid use or abuse, don’t worry, you are not alone. Millions of people in America and other parts of the world are going through the same struggles of fighting opioid addiction or opioid physical dependency. Just know that you need help and talk to a professional addiction specialist for help. If you are addicted to opioids, there is hope for you. Finding the right intervention and treatment of opioid use disorder can help you end the addiction and bring your life back on track. Similar to other addictive drugs, the withdrawal symptoms are dangerous to manage on your own based on the severity of your addiction. All I Want Is Sobriety: Is It Worth Fighting? If you are sick and tired of using addictive opioids for years and all you want is to stay sober and healthy, you must be willing to fight and win your battle of addiction. With the right intervention and support from a professional doctor, your dreams to gain sobriety can become true today. Addiction is a chronic and lifelong health disorder that requires the physician to put the patient into treatment and help him/her manage the long-term recovery. Recovery support programs are open for further help to opioids addicts bring their lives back on track. What’s The Solution To The Opioid Epidemic Narrative? The solution to the old opioid epidemic narrative is to find a solution and start a new narrative that does not scare or discourage medical patients about the use and abuse of opioids. Finding a narrative that clearly states the difference between the medical use of opioids and the addictive use of opioids is the way to go. The role played by illegal opioids and other drugs should not be ignored either.